Nepal witnessed a heavy monsoon this year and the season lasted a bit longer than it normally does. 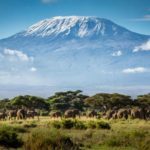 Autumn has arrived, nonetheless, and the climbing teams continue acclimatization for potential summit attempts later this month/next month. Nepal witnessed a heavy monsoon this year and the season lasted a bit longer than it normally does. Autumn has arrived, nonetheless, and the climbing teams continue acclimatization for potential summit attempts later this month/next month. Difficult conditions forced Kilian Jornet to abandon his Everest speed attempt. 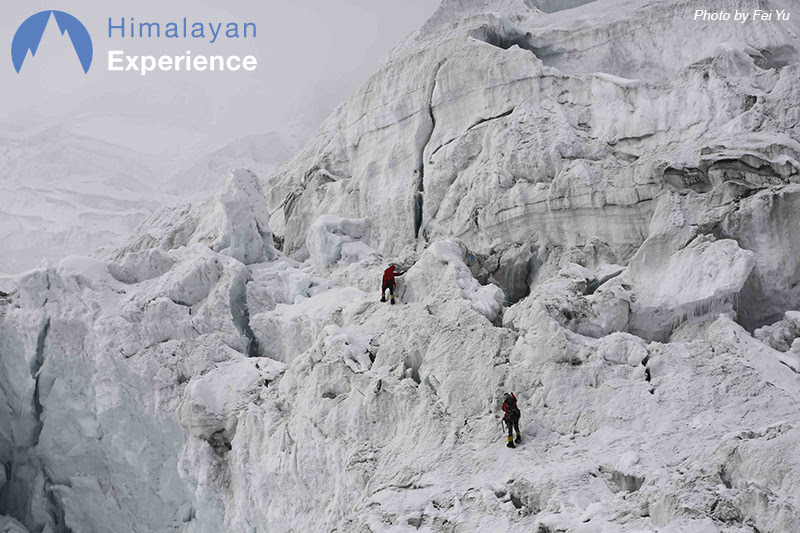 It’s a usual busy season on Manaslu, but there will be a couple of new route attempts as well. 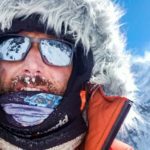 Last but not the least, Oscar Cadiach returns to Broad Peak for an unprecedented autumn expedition. 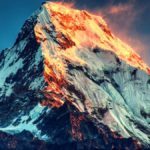 Spanish climber Kilian Jornet, who has been acclimatizing in Tibet and Nepal since August, has decided to abandon his Everest speed attempt. 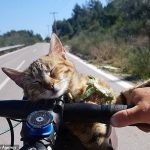 He said that he was well acclimatized and in good health for the challenge. However, snow conditions on the mountain were too dangerous. “We’ve learnt a lot about the mountain and how to come back in the future,” he added. On the other hand, Nobukazu Kuriki continues preparations for solo, no O2 attempt. Although, bad weather and continues snowfall has hampered his plans to go up from ABC. 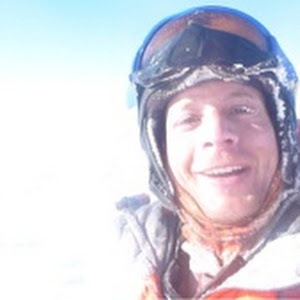 He arrived at 5800m yesterday and intends to reach as high as 6800m today. 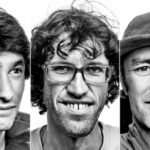 As we mentioned in kickoff posts, Mariano Galvan and Alberto Zerain could possibly do “something new” on Manaslu. 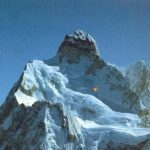 They have reached BC, observed conditions on the mountain and have selected their objective. The duo will climb a route on Northside which is apparently still unclimbed. They have already opened track till 5450m and made a deposit there. In next push, they will establish C2 and make the things ready for summit-bid. 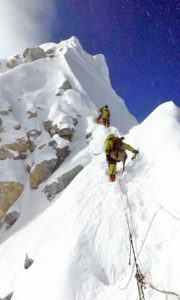 It’s reported that a six member Japanese team is attempting Manaslu East Ridge. “They have a very separate BC from us so we only get to see them when they are on the main ridge, but they seem to be making good progress,” Himex Expedition leader Russell Brice wrote in his latest dispatch. 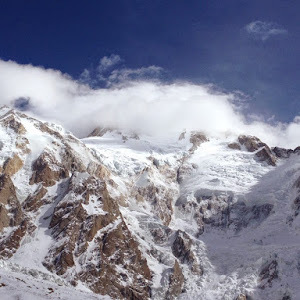 High peaks of Karakoram are usually climbed in summer. That is before snowmelt makes climbing conditions difficult and dangerous. 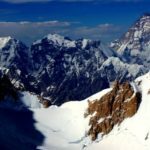 There are very few exceptions like Urubko/Samoilov K2 North Ridge (summit on Oct 2, 2007). 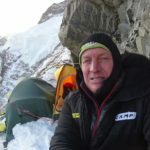 However, Oscar Cadiach will be climbing Broad Peak in full autumn, this year. 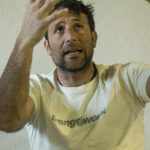 He will be joined by Ali Sadpara (of Nanga Parbat first winter ascent fame). The Spaniard hopes that he will find better conditions than summer. Note that monsoon rain/snow doesn’t reach Karakoram, where western winds bring snow in March/April. Oscar Cadiach has attempted Broad Peak thrice in three years; summer 2014, 2015, 2016. He turned back around 30 vertical meters short of summit in 2014. However, the Spanish climber has a historical association with the mountain. 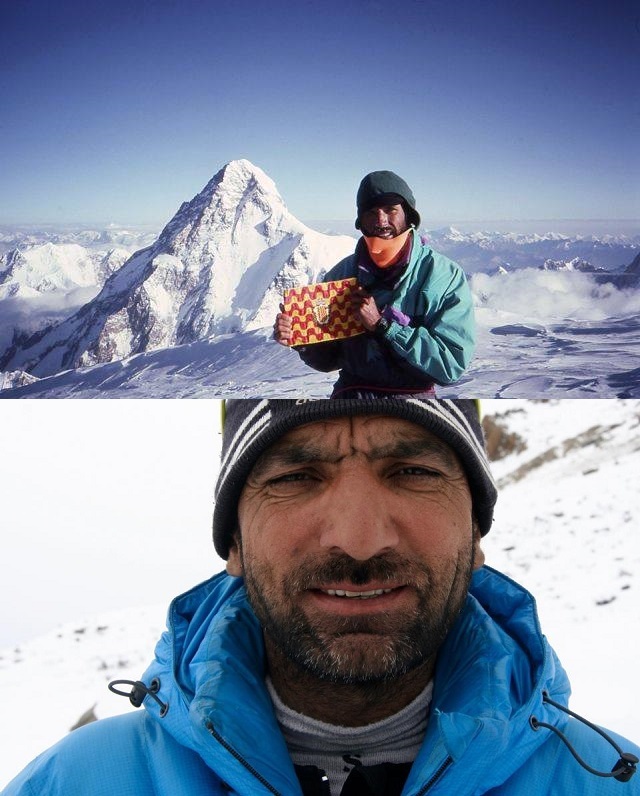 In 2012, he acclimatized on Broad Peak before climbing K2. 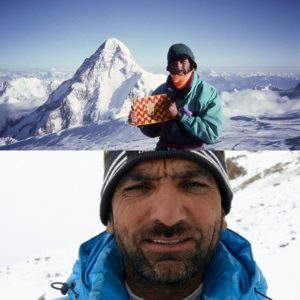 Back in 1990 he opened a new route to Broad Peak North (7600m). 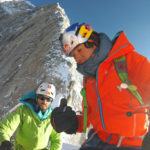 A couple of years later, he climbed a new route on East Face of Broad Peak to Central Summit (8011m). 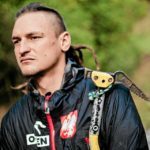 Lhotse South Face: Sung Taek Hong left for Nepal at the start of this month. However, there is no further update from the team. Shisha Pangma: After the frightful spring 2016, good conditions are reported on Shisha Pangma this season. RMI team have spent a night in C1 (6500m) for acclimatization while Sherpa have worked on route towards C2. Team is currently resting at BC. Besides RMI, there is just one other small team on the mountain. 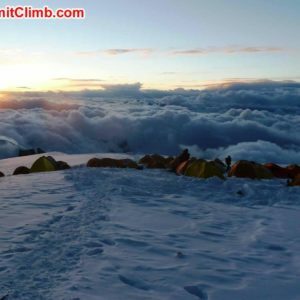 Dhaulagiri: Altitude Junkies team is making good progress on the mountain. 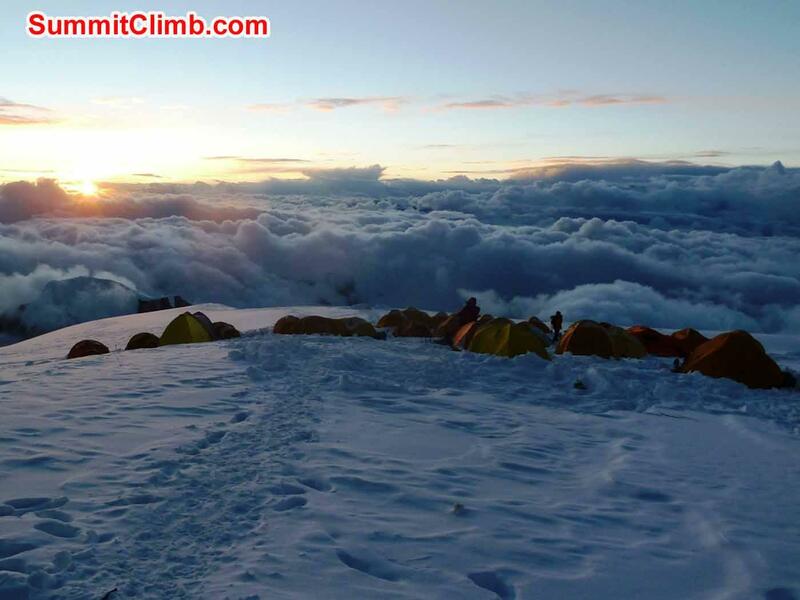 Team members (clients) have spent a night in C2, while Sherpa are fixing ropes to higher camps. 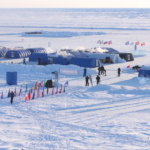 Expedition leader Phil Crampton expects that they will be able to launch summit-bid in next weather window (between Sep 25th and 30th). Manaslu: A crowded mountain! 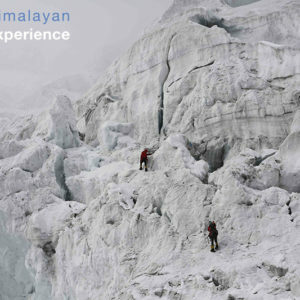 Seven Summit Treks alone have 56 clients and 100+ Sherpa on Manaslu. It’s reported that ropes have been fixed till C3 and early teams will be going for summit in first week of October. 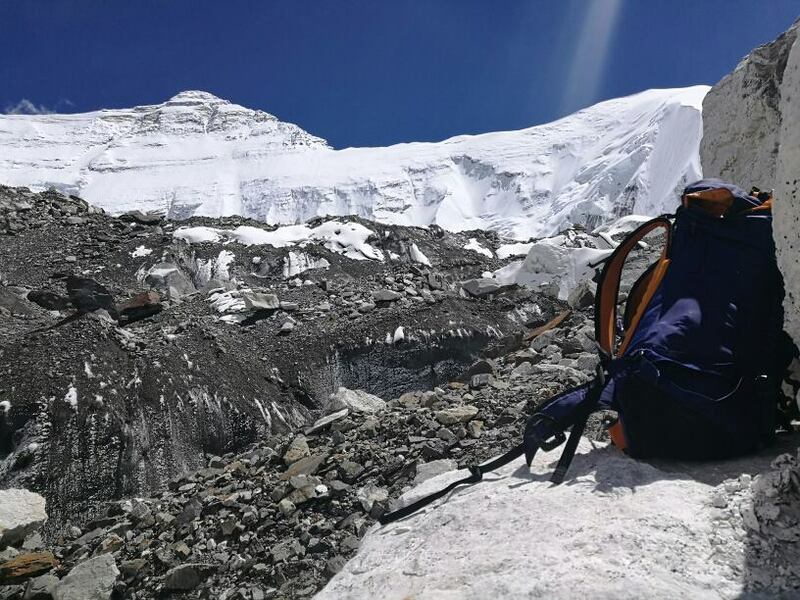 Cho Oyu: Season progresses smoothly on Cho Oyu, as teams have reached C2 (7150m).